People close to Joshua Mejia, a 26-year-old mental health worker who was shot and killed in July, remember his life (Oct. 10, 2016). Two men have been arrested in connection with the July 17 slaying of a mental health clinic worker in San Francisco's Tenderloin, officials said. 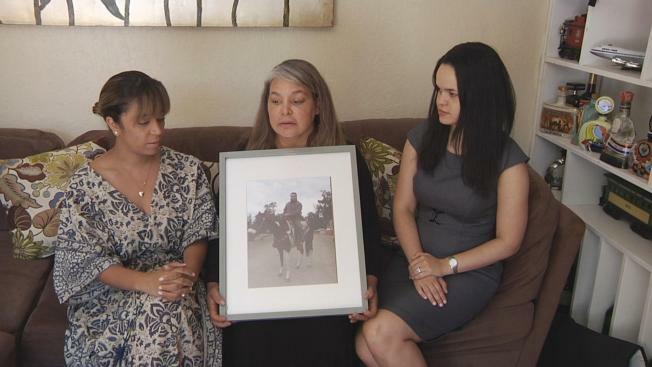 Joshua Mejia, credited with aiding hundreds of people with psychiatric distress during his time as a Marin County behavioral health clinic employee, was gunned down back in mid-July and now his loved ones are calling for due process. "Joshua Mejia deserves justice," Marlene DeLeon, the victim's girlfriend, said. "His life mattered and he was someone that was very, very loved." Mejia, a resident of Alameda, was leaving a bar located near Geary Street and Larkin Street around 2 a.m. when a fight broke out on the city block. The quarrel reportedly calmed down until a car rolled up on the scene and an armed suspect emerged. That suspect fired several shots, killing Mejia and injuring another man, police said. DeLeon said that Mejia was just socializing with some friends when the act of violence claimed the 26-year-old's life. "He was at the wrong place at the wrong time," DeLeon said. "He got shot for no reason." While DeLeon and Mejia's family continue to battle the grief, they received some closure with the arrest announcement. "That call, of course, brought a lot of relief, happiness, but at the same time it just opened back the wounds from day one," DeLeon said. "It was a bittersweet moment." Tony Gonzalez, 25, from Oakland and Francisco Heredia, 23, from San Francisco were booked into county jail last week on suspicion of homicide, attempted homicide, assault with a firearm and conspiracy, officials said. Heredia was already behind bars at the time of the announcement for unrelated charges. Police have not yet released the mugshots of the two suspects.